Stormtrooper 壁紙. 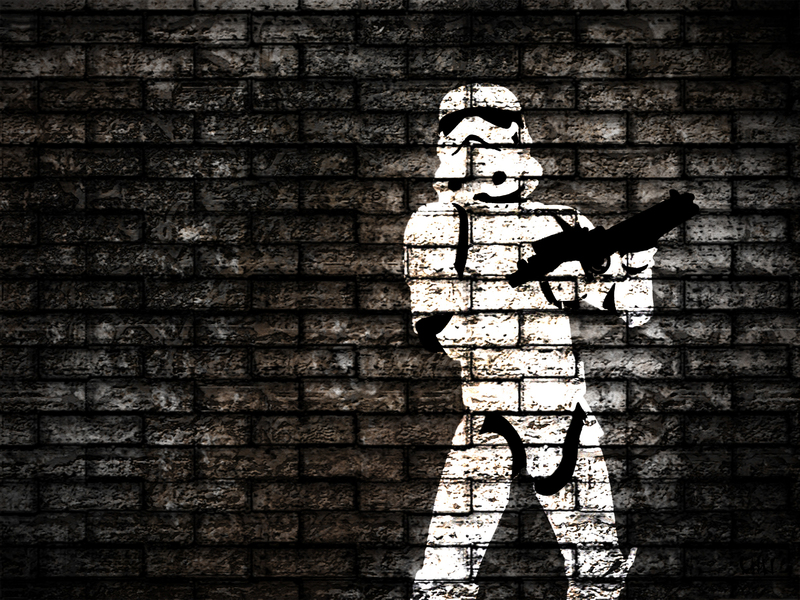 I made this 壁紙 with photoshop.. HD Wallpaper and background images in the スター・ウォーズ club tagged: star wars wallpaper photoshop fan art stormtrooper background desktop black and white. I made this 壁紙 with photoshop. This スター・ウォーズ wallpaper contains 通り, 都市現場, 都市環境, ストリート, 都市, 都市設定, and 都市のシーン設定. There might also be 刑事施設, 刑事, 褐色砂岩, 茶色の石, and ブラウンス トーン. This is why Stormtroopers shouldn't handle lightsabers. These aren't he comments you're looking for.